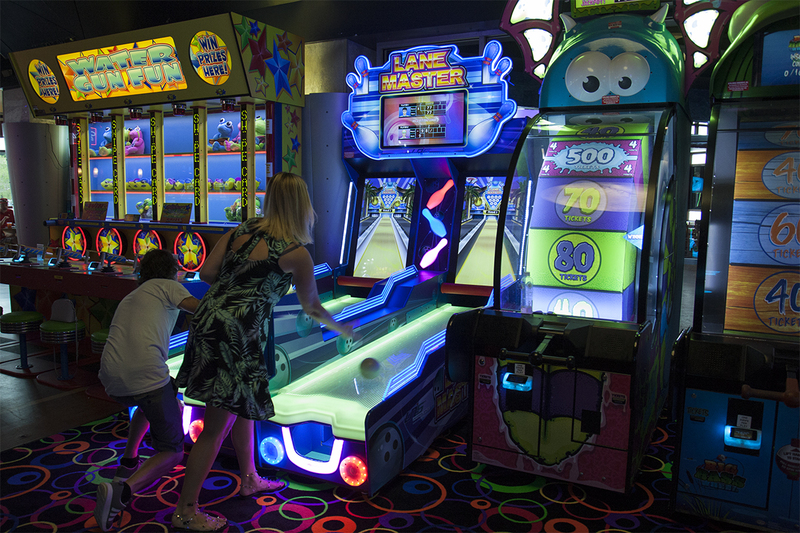 At UCP Game Zone in Myrtle Beach, our team is proud to be involved with various top businesses all around town. We love having the opportunity to serve families, work groups, and parties our handcrafted ‘Best of the Beach’ Pizza. And because we’re the best of the beach, it’s no surprise we only partner with the best! Below, some of our most influential Myrtle Beach customers give their opinion on what makes UCP so special. At UCP Game Zone, you can guarantee your pizza is made to order on our made from scratch dough, homemade Ultimate red sauce and loaded with fresh ingredients like mozzarella, juicy tomatoes, crisp veggies, and USDA choice NY strip! There are endless combinations when you build your own pizza and if you’re in the mood for something different we have a variety of dishes from stacked sandwiches to saucey wings. And after you fill up you can play our interactive games and win some of the hottest prizes! UCP and UCP Game Zone offers a family-friendly environment and is loved by locals and tourists alike. From carryout to delivery, and the option of dining in at 6 of our locations around Myrtle Beach, we look forward to serving you and your family one of our ‘Best of the Beach’ pizzas!